Fulton Jack Tongue 1000# EconomyFast, easy swivel jack operation; factory assembled mounting bracket.. Designed to attach harness to the trailer frame. Minimum order quantity 100. 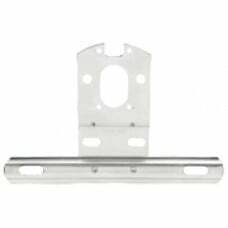 Pack : 100 Descripti..
Zinc plated steel slotted for universal mounting. Size : 8-1/2" x 2-3/4".. Solid zinc plated steel. 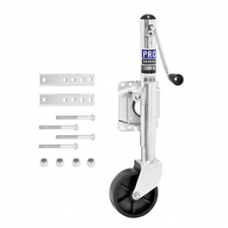 Size : 2-1/4" W x 1-5/8" L Fits : 2" x 3" coupler..
Square bend u-bolt with bracket mounts tire on tongue or trailer frame. 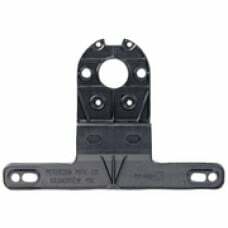 Fits frames 2" square or rec..
Attwood Tie Down 1 In. X 15 Ft. Convenient handle for maneuvering trailer tongue. Mounts easily to most trailer couplers. ..
Attwood Winch Strap 2 In. X 20 Ft.
2" wide polyester webbingCut end styleForged zinc plated steel snap hook Size : 2" x 20'Breaking ..
Master Cylinder Replacement Description : Master Cylinder Replacement .. Prevents wheel bearing failure on boat, snowmobile, ATV, RV and utility trailersEliminates bearing r.. Keeps grease off trailer wheels. Pack : 2 Fits : Bearings 2328, 2441, 2717..